"The first annual Christmas Extravaganza at Life Community Church will be an event you do not want to miss. The whole property will be lit up and include a Christmas show every hour. 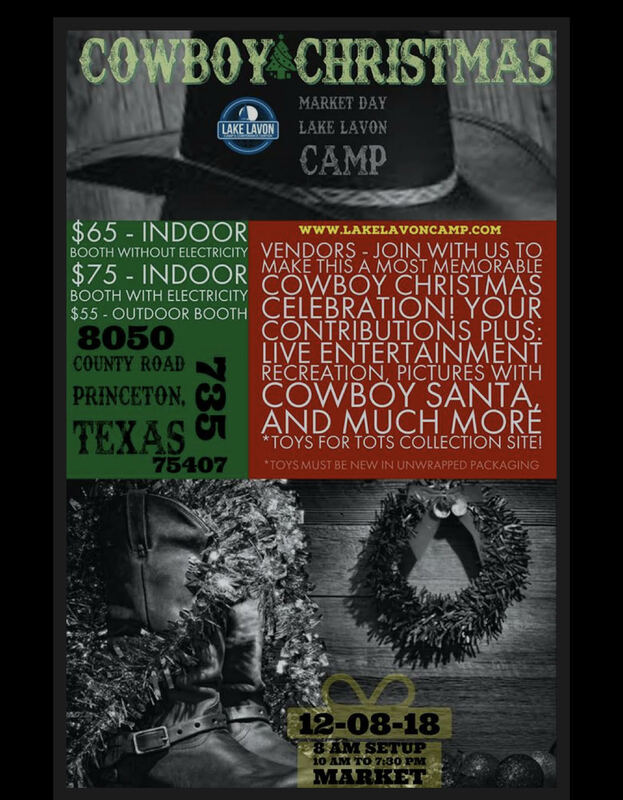 This Very Texas Christmas event will also feature a Holiday Market full of vendors; arts and crafts activities for the kids; photo booths; meet and greet with Santa/St. Nicholas; free refreshments and more!" 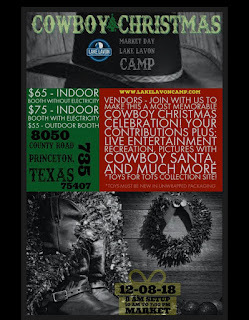 "Join us as we Jingle All The Way, bringing our 3rd Annual Christmas Market to Old Town Burleson. Free event- Free professional photos with SANTA, kids activities, gift wrapping station, Christmas classics playing throughout the town....& so much more! Please bring a New/Unwrapped toy benefiting The Children's Advocacy Center in Johnson County." "Happy Holidays Pop-Up Market offers a unique shopping experience. Handcrafted, many one of a kind creations by local artisans will fill the front space of the Downtown Arlington Management Corporation office for just over two weeks before Christmas. A wide range of fabulous finds, including ceramics, woven baskets, framed and unframed art, jewelry, Christmas decorations, handmade soaps and candles and more will appeal to you and the people on your gift list. Admission is free. Find us across from Legal Draft and around the corner from Sugar Bee Sweets in the Urban Union area of Downtown Arlington. Preview representative items from the various vendors by clicking on the event website." "Shop a wide variety of vendors featuring one-of-a-kind items such as home & Décor, clothing and accessories, handbags, jewelry, religious articles, artwork, candles, delightful goodies, and so much more! Pictures with Santa too! 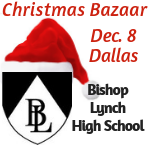 This Christmas Bazaar supports the Bishop Lynch HS Brigade Drill Team. Free admission, raffle drawings all day long!" "The 25th Annual Tarleton Staff Council Holiday Showcase is a premier shopping and Holiday event bringing unique items from vendors around Texas to the doors of our community. This event is free to the public and proceeds from the vendor fees goes to support the Staff Council employee scholarship."